When October is here, that means haunted attractions are open for business in Colorado. There are a number of downright frightening haunted houses in the Centennial State, along with a few terrifying corn mazes. 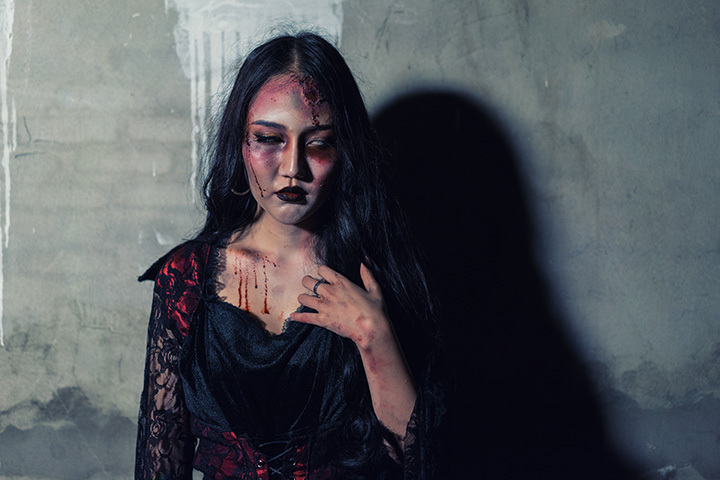 Demented clowns, gruesome zombies, and chainsaw-wielding maniacs will haunt your dreams after visiting the best haunted attractions in Colorado. This is one of the most frightening and most popular haunted houses in Colorado. Located in Denver, 13th Floor is a multi-story haunted attraction featuring zombies, demons, ghouls and insane murderers. Due to its terrifying features, 13th Floor has gained national attention as one of the scariest haunted attractions in the country. Acquired by Denver’s Thirteenth Floor Entertainment Group, the City of the Dead and Asylum haunted attractions have been merged into one and relocated to the City of the Dead’s campus inside the Mile High Flea Market. City of the Dead spans over 30,000 square-feet of zombie hell. This experience will take you through the zombie city where 30 terrifying and graphic scenes await you. The Asylum, a mental hospital theme, features deranged and insane characters. You never know what you’ll come across in the Asylum. Prepare to be scared. There are two haunted houses at the oldest haunted attraction in Denver, the Frightmare Compound. Opened since 1983, the Frightmare Compound is haunted by evil spirits, murderous clowns, zombies and unnatural beings. If Frightmare doesn’t scare you, head to the other scary attraction on the property, the House of Darkness. Elitch Gardens is a theme and water park. However during October, it turns into a fright fest at night. Elitch Gardens Fright Fest is open on weekends and is crawling with radioactive monsters, ghouls and zombies. Enjoy three terrifying haunted themes here that vary depending on the year. From terrifying clowns to hungry, realistic zombies, you’re sure to have a scary Halloween at Elitch Gardens. This outdoor haunted attraction features a 30-acre corn maze filled with the undead. However there are actually two other haunted attractions at Haunted Field of Screams, which are Zombie Paintball Massacre and Dead Man’s Night Maze. Zombies aren’t the only creepy things lurking in the cornfield however, look out for clowns and chainsaw-holding madmen. Haunted Mines is one of the top scariest attractions found in Colorado Springs. Located in the Chapel Hills Mall parking lot, this horrifying indoor attraction is full of evil and demonic creatures. Be prepared to crawl through tunnels to escape these monsters. Haunted Mines is actually a non-profit organization, so some of the proceeds go to local charities. Extinction Haunted House is a live-action haunted attraction. For those daring to enter the haunted house, expect to receive a gun, air-soft ammo and a mask with your price of admission. Now you are able to defend yourself against the monsters and zombies that haunt this Colorado attraction. Three attractions are found at this multi-story haunted house in Colorado Springs. Spanning 6,000 square-feet, HellScream is full of terrifying live actors and incredible light and sound effects. You may even find yourself in a murder mystery or escape game. Movie-quality special effects keep customers scared at HellScream and have been for more than nine years now. If you dare to walk through this haunted corn field, be prepared for what lurks inside. Reaper’s Hollow is located on Flat Acres Farm in Parker. The cornfield isn’t the only attraction at Reaper’s Hollow. Experience Dead End Motel to have an even more frightening night.